Description: Dark brown, translucent, basically no head. Aroma of ripe fruit and figs (maybe some prunes? ), a little toasted malt, burnt caramel, and a fair bit of booze. Sticky and sweet tastes, ripe fruit. Mid to full bodied, with a coating sticky mouth feel – no fizz. Thoughts: Despite my expectations (a clear glass bottle is generally not a good sign), this wasn't bad. Sticky and sweet; a sipper rather than a gulper. Not sure I would buy it again, but it had a good sweet boozy hit. Description: Poured a pale straw colour, clear, small white head, and surprisingly flat looking. Not much aroma; lager yeast with a little citrus fruit in the background. Sweet flavours, a little grainy, some fruit, and no real bitterness to speak of. Light with next to no carbonisation. 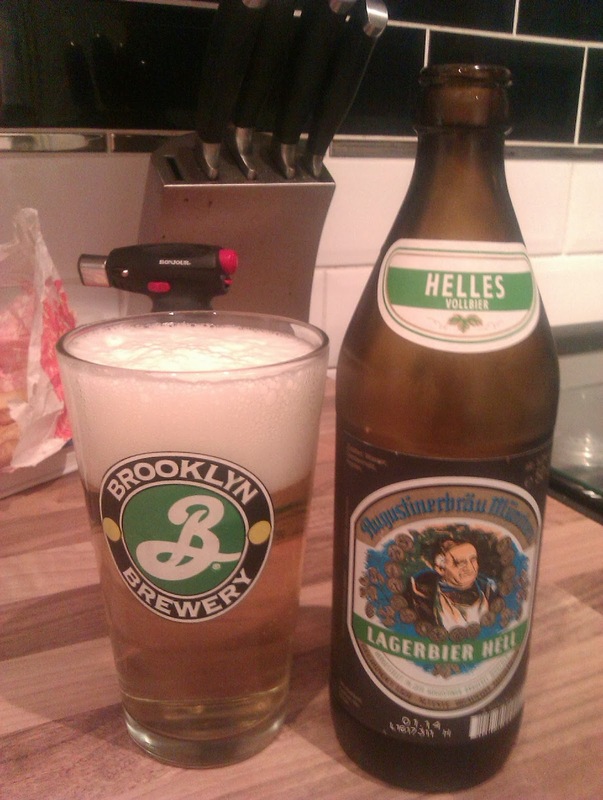 Thoughts: I'm not a huge fan of lagers generally, but I think Helles are really tasty. This was light, refreshing, and easy drinking. Really decent session lager. Description: Poured very light yellow, clear, with a big white head. Again not a huge aroma; lagery. Tasted much like the God Lager, but maybe a little more bitterness and not as sweet. Light bodied, but this had a good fizz. Description: Comes lovely big wine bottle with a cork and cage. Pours bright yellow and hazy; big white head. Lots of citrus and soft fruit aromas, a little floral hoppiness in the background. 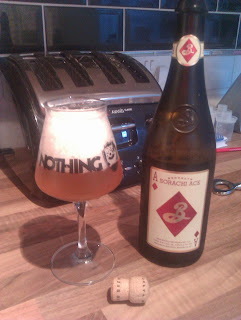 Subtle and soft flavours, again lots of fruit, a little pepper/chili bite, buttery (some vanilla too? 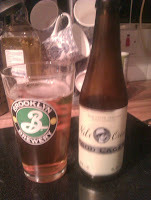 ), and a nice bit of lemon rind thrown in for good measure. 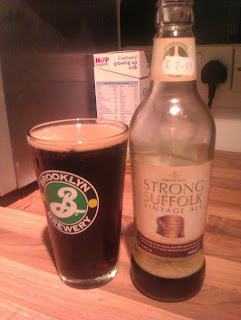 Light and fizzy; hides its ABV very well but still has a nice warming sensation from the alcohol. Thoughts: Loved it. Close your eyes, and this could be a tasty aged Chardonnay, but one with a nice peppery finish. I presume it's the champagne yeast that gives it the vinous quality. Not cheap but worth every penny. Description: Light brown and cloudy; big white head. Unfiltered and unpasteurised. Lots of woody smoke on the nose, not much else getting through. 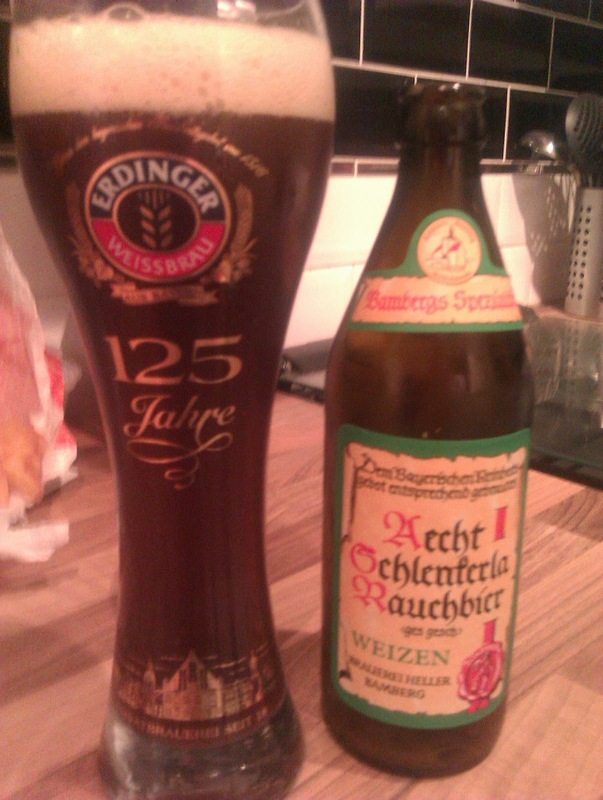 Taste follows the smell; woody, smoky, but a bit lighter and less hammy than their Marzen. Mid bodied; creamy. Thoughts: Great stuff again from Aecth Schlenkeria. Overall I think I preferred the smoked bacon of the Marzen - but this might be slightly easier drinking.